← Ron Nurnberger Qualifies For Entrance Into the FSA Hall of Fame!! On Monday, December 10th, the Betmar Shuffleboard Club hosted the State Shuffleboard Championships. Pauline Murphy, ZSC, and Pat Stockman, Sanland Ranch, teamed up to win the Championship. Pauline was lucky to have Pat in that she lost her partner a week ago. 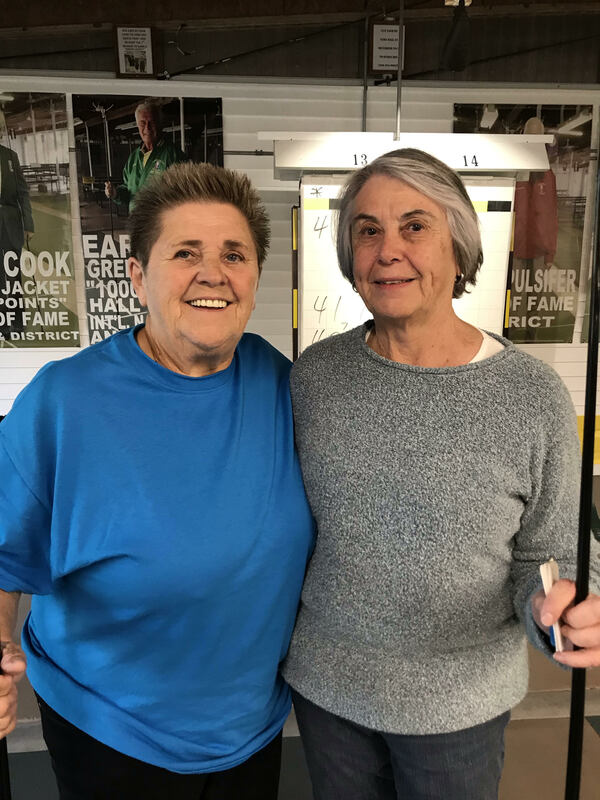 Pat, a Central District Hall of Famer, and an excellent player wasn’t scheduled so she stepped up and helped Pauline out in a big way! They won each of their matches in two games until the last match. They won the 1st game of their final match and it appeared they would take this match also in two games but their opponents won by a narrow margin. After having lost the lag they did not let that deter them from their goal and they managed to quickly gain a 31 point lead and were able to win the 3rd game on a final shot by Pat Stockman giving them the victory! This was Pauline’s 1st State Championship.